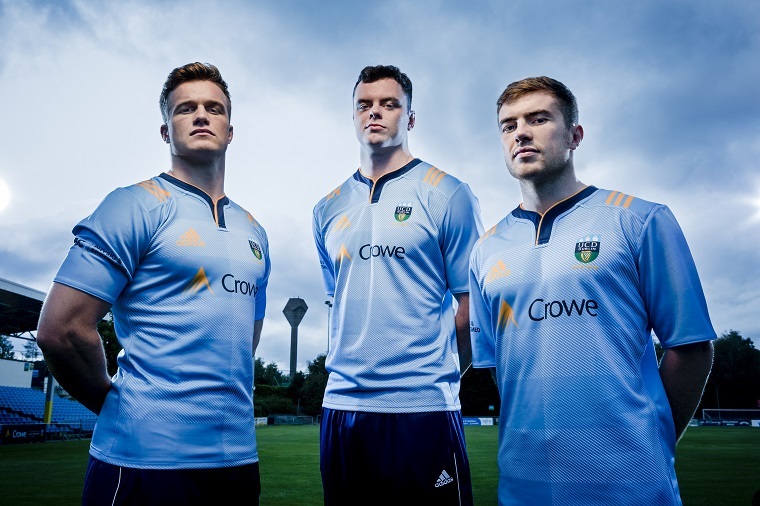 Josh van der Flier, James Ryan and Luke McGrath at the launch of the club’s new adidas kit for the 2018/19 season. 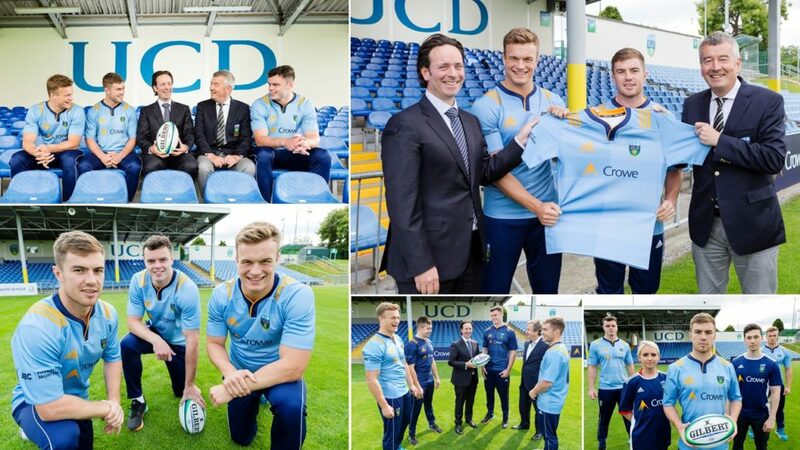 With a history of developing exceptional talent, the 2018/19 season sees Crowe celebrate its sixth season as the official club sponsor of UCD RFC. To mark this sixth season milestone Crowe commissioned a new video, which features interviews with Naoise Cosgrove, managing partner of Crowe and JP Donnelly from UCD RFC who outlines how the sponsorship has supported the development of the club talent. Watch video. The sponsorship deal is part of Crowe’s ongoing commitment to harness the best young talent in the country both on and off the field through their graduate and sponsorship initiatives.